NEW YORK (WABC) -- New York City online publishing outlets Gothamist and DNAinfo suddenly shut down operations Thursday afternoon following the staff's decision to unionize. CEO Joe Ricketts, who runs the two operations, said in a letter that "reaching this decision wasn't easy, and it wasn't one I made lightly." Both websites now link directly to his full statement. The staff of both publications voted to join the Writers Guild last week. He said the decision was based on business, but did not directly mention the union in his statement. 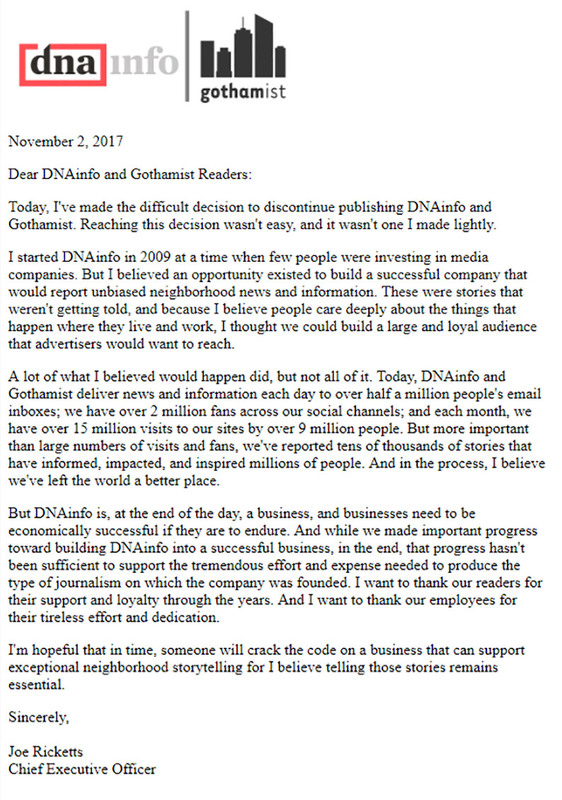 "And while we made important progress toward building DNAinfo into a successful business, in the end, that progress hasn't been sufficient to support the tremendous effort and expense needed to produce the type of journalism on which the company was founded," he said. 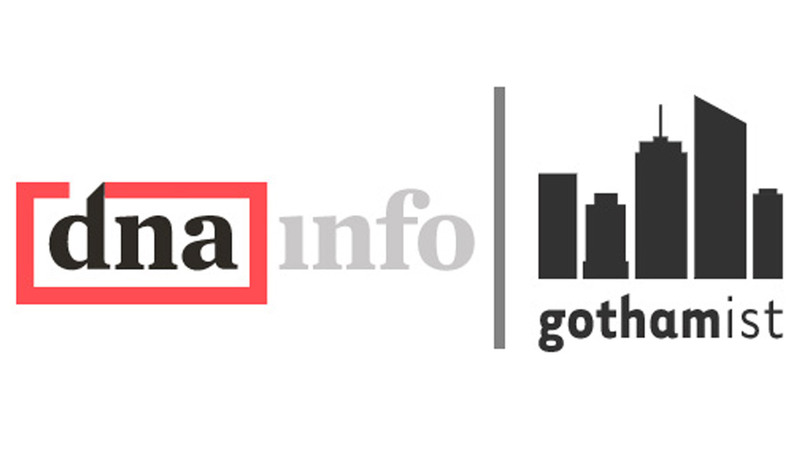 Ricketts initially owned only DNAinfo, but acquired Gothamist earlier this year.